Minneapolis Public Works will begin the big task of curb-to-curb sweeping and leaf collection on streets throughout the city Tuesday, Oct. 20. During the four weeks of the comprehensive fall street sweep, crews will clean up about 1,100 miles of city streets. To make sure the sweepers can do the best job possible, temporary “No Parking” signs will be posted at least 24 hours in advance so streets will be clear of cars when they’re swept. The first signs will be posted Monday, Oct. 19, and sweeping will begin the next day. Anyone who parks on the street will need to follow street sweeping parking rules or their cars may be ticketed and towed. Residents should not push leaves, grass clippings, or other debris into City streets – it’s bad for our lakes and waterways, can cause safety hazards, and is against the law. More information is available on the city’s website at www.minneapolismn.gov/streetsweeping, including the street lookup function. The City Council is contemplating ordinance changes designed to help working families. Known as the Working Families ordinance, the main components include requiring employers to provide sick leave for employees and fair scheduling so that employees can more easily control their lives away from work. Current draft policies can be found here. The City Council is asking for your input – please send comments to workingfamilies@minneapolismn.gov thru October 16. Commissioner Linda Higgins, Hennepin County staff and LSE Architects met with community members last month to discuss the new Webber Park Library project. Designs for the library’s outdoor spaces, including the shape of the outdoor reading area, planting materials and outdoor furniture, were presented. The focus will be on native plants that attract pollinators. Samples of granite and zinc that will be used on the library’s exterior were displayed. The architects provided an updated interior image of the library to show how color, lighting and furnishings designs are developing. The image included an example of a sound-absorption wall panel shown above the children’s area. Acoustical ceiling panels and insulated windows that reduce sound transmission from outside of the library are also included in the plan, found here. Community Action Partnership of Suburban Hennepin (CAPSH) is now accepting applications for its Energy Assistance Program (EAP). EAP is a federally funded program that provides financial assistance to low income households to maintain electric and heat services during the winter. Assistance is available to all eligible Hennepin County residents, including the City of Minneapolis. Visit http://www.capsh.org/services/energy-assistance/ for more information on CAPSH locations and how to apply. The Minneapolis City Council unanimously voted to approve aPercent-for-Art Ordinance on Friday September 25, 2015. The ordinance dedicates the equivalent of 1.5 percent of City-issued net debt bonds annually to public art funding. The net debt bond program is funded by property tax revenue. This provides a way for the City to predictably fund public art while allowing for flexibility in the source of funds used from year to year. Presently, the Art in Public Places budget fluctuates from year to year making it difficult for the City’s department of Community Planning and Economic Development to plan public art projects effectively. This is compounded by the fact that budgets are adopted annually while the process of developing, fabricating, and installing pieces of public art takes on average about three years from start to finish. Minneapolis joins other local governments in Minnesota who have already adopted similar ordinances including Saint Paul and Duluth; the State of Minnesota also has a percent for art program. 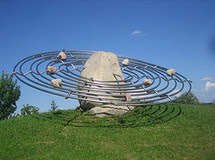 The Minneapolis ordinance allocates the money to the commissioning, siting, placement, conservation, and maintenance of public art. For more information on details related to the Percent-for-Art Ordinance please visit the City of Minneapolis website. 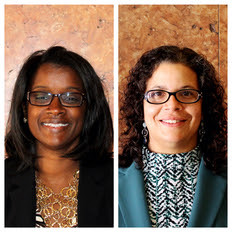 Joy Marsh Stephens and Julianne Leerssen have joined the City Coordinator’s Office as the City’s new equity and inclusion managers. Together they bring the City more than 30 years of experience in social justice and fostering equity and inclusion in workplaces and communities. Joy’s main role will be with equity initiatives within the City as a workplace. She will work closely with enterprise leadership on a variety of initiatives including supporting the work contemplated by the Racial Equity Action Plan as well as that already undertaken within City departments. She will help support equity and inclusion efforts in hiring, recruiting, supplier diversity and contracting. Julianne will primarily address Promise Zone initiatives. She will work closely with our community partners to identify and create lasting solutions using a collective impact approach within the designated Promise Zone. The goal of the Promise Zone in Minneapolis is to revitalize high-poverty communities by reducing racial inequities in public services and institutions, reducing serious and violent crime, reducing the racial achievement gap, building a more inclusive economy, creating jobs, and promoting stable housing. Joy most recently worked at UnitedHealth Group where she led large-scale systems and operational change across the multinational organization with more than 180,000 employees. With undergraduate and graduate degrees from the University of Minnesota, she has more than 20 years of experience in a variety of sectors including public schools, health care and financial services. She has served leadership roles in numerous nonprofit boards, schools and other community groups with a focus on driving equitable outcomes for people of color across the Twin Cities metro area. She views her new role with the City as an ideal opportunity to marry her organizational development and change management skills with her passion for racial equity. Julianne has 15 years of combined volunteer and professional experience working in north Minneapolis. As the founding director of the Neighborhood Hub, she comes with a background in social service as well as community education, advocacy and organizing around livability issues in north Minneapolis communities. Having grown up on the North Side, she is a product of the Hawthorne neighborhood and the Minneapolis Public Schools. She has a degree in speech communication from Augsburg College and a Juris Doctor from William Mitchell College of Law. She is a licensed attorney who has put those skills to work assisting community members in the areas of family law, housing law, nonprofit development and small-business development. Julianne brings a passion for improving the lives of all residents of Minneapolis, but in particular, the residents of north Minneapolis who are suffering the weight of disparities. Senior Partners Care members must be enrolled in Medicare Parts A and B, cannot have a supplemental medical insurance policy (though they can have a Part D Drug only policy), are not on Medical Assistance, and meet our program’s financial guidelines: $1,961.00 in gross income per month for a single person and $2,655.00 per month for a couple, and liquid assets of under $48,500 per household regardless of size. A temporary greenway is going in on the five blocks of Irving Avenue North between Folwell and Jordan parks. Crews will begin installing the temporary greenway in mid- to late October, and it will be in place for up to a year so that we can see how well it works across all seasons. While this temporary greenway is around, we want to know how it’s working. Changes may be made to the project throughout the year based on resident feedback. Before the installation begins, signs will go up to restrict parking. Once the temporary greenway is installed, the City will work with a contractor to provide weekly maintenance, including maintaining planters, picking up trash, and removing graffiti. The City will continue to plow snow from the bike lanes and car travel lanes. A contractor will clear snow in other areas as needed. This temporary greenway follows three years of community engagement with neighbors. Over the summer, many of the neighbors living on and near Irving Avenue shared their thoughts and ideas. The City used that input to create this temporary project. Fill out a form and leave it in a feedback box at one of the information kiosks along Irving Avenue. There will be one at 30th Avenue North and one at 35th Avenue North. Attend a community event. They will be held approximately every two months while the temporary greenway is in place. Residents will be notified when events are scheduled. Use the online feedback form at www.surveymonkey.com/r/GreenwayDemo. Note: this form will be available once the temporary greenway is fully installed. As part of National Fire Prevention Week Oct. 4-10, the Minneapolis Fire Department shared these fall fire safety tips. More fires start in the kitchen than in any other part of the home. That’s why the Minneapolis Fire Department wants to make sure you know how to prevent cooking fires. For more fire safety tips, follow the Fire Department on Twitter at @MinneapolisFire. Applications are now being accepted for a number of open boards and commissions positions that the City Council and Mayor will appoint this fall. Board and commission members in the City of Minneapolis provide valuable insights, help shape key policy decisions and provide community-based input into administration of services. The City is seeking applicants with a diversity of backgrounds and experiences to strengthen the work of the City – especially residents from Wards 4 and 5! The Commission on Civil Rights is looking for additional representatives from the Northside, which has historically been underrepresented. Click here for more information.